Just after midnight units from New Windsor and Union Bridge were dispatched for a reported chimney fire in the 1100 block of Tibbetts Lane. First arriving Engine 101 found a 2 1/2 story home with nothing showing. 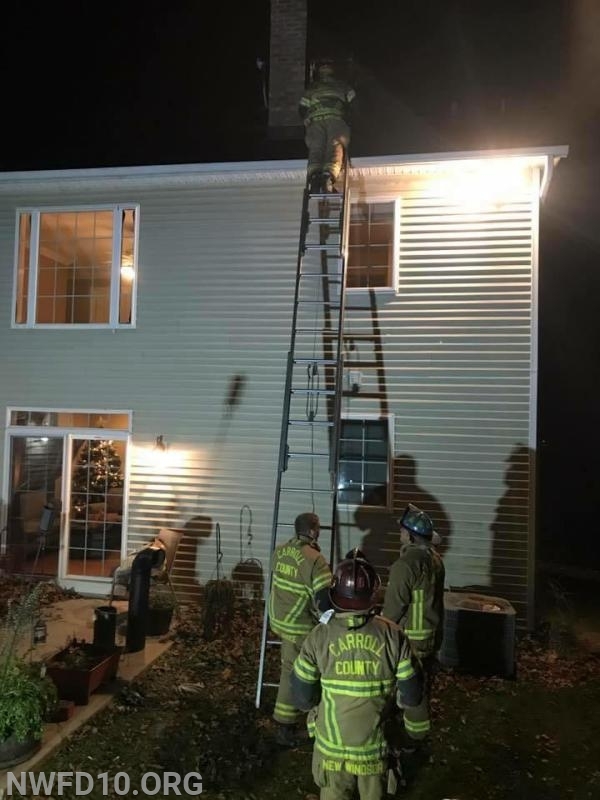 Crews were directed to a first floor wood stove where the fire in the fire box was extinguished and the flue pipe removed exposing an active fire in the chimney. E102 laddered the roof to "chain the chimney". The fire was quickly controlled and crews were able to confirm that the fire was contained to the chimney and had not spread into the home. Crews operated for just over an hour before returning to service.